“The EQC is the pioneer of our future Mercedes-Benz EQ portfolio,” said Britta Seeger, Member of the Board of Management of Daimler AG responsible for Mercedes-Benz Cars Sales. “For market launch, the EQC Edition 1886 serves as a reminder of the invention of the first automobile and we are emphasizing the pioneering spirit that sustains and characterizes us today more than ever. The Edition 1886 gets as much as 293 miles on a single charge, and puts out 402 horsepower and 564 pound-feet of torque from the two motors (one on each axle). 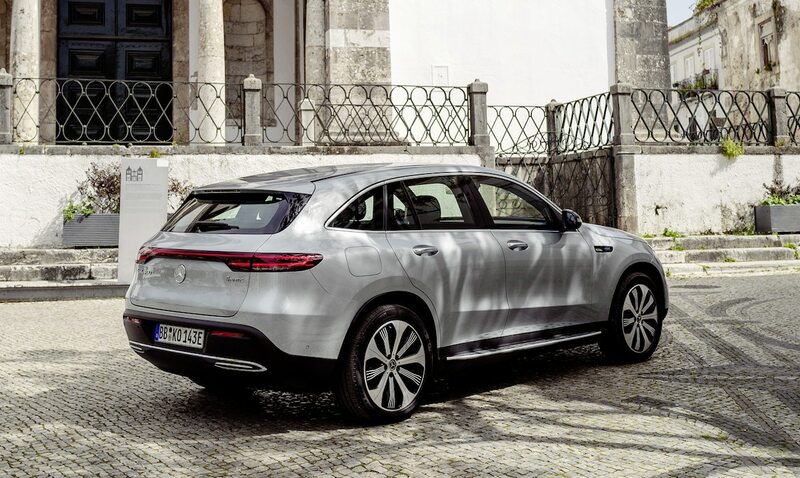 The EQC blends the latest technology with Mercedes history of design excellence for a vehicle that is cutting edge but unmistakably from the German automaker. The exterior and interior of the EQC Edition 1886 are definitely coordinated. The black panel radiator grille with louvres and edging in high-gloss black are perfectly balanced against the EQC Edition 1886’s exclusive metallic high-tech silver exterior. Further individual features include the high-gloss black badge with blue “1886″ lettering on the fenders and the 10-spoke 20-inch light alloy wheels in high-gloss black with white decorative elements. The exclusive appeal continues in the interior with the new seat designs with upholstery in MB-Tex/DINAMICA microfiber in Indigo Blue and Black. Special EQC Edition 1886 lettering is embroidered into the seat backrests and center console. 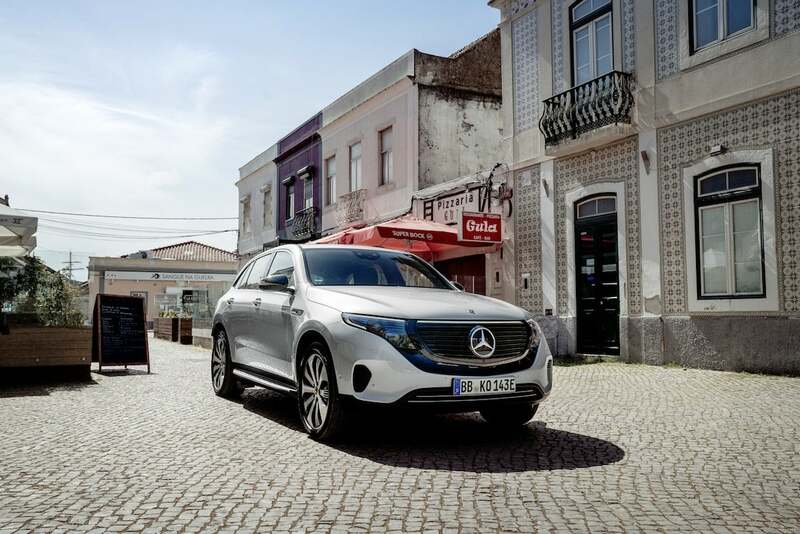 As is the case with all Mercedes vehicles, safety is a critical feature in the EQC 1886, but the maker has gone the extra mile on the comfort options. The Burmester Surround Sound System provides remarkable sound and works with the vehicle’s ENERGIZING Package. 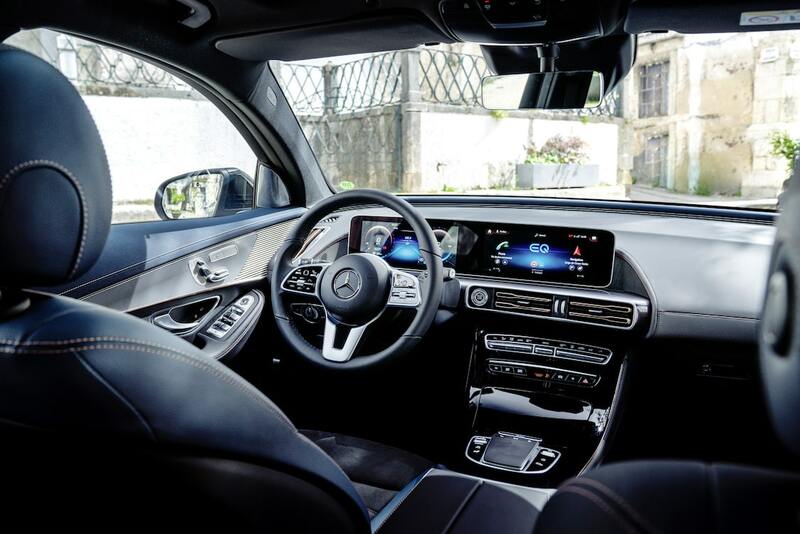 The EQC blends the latest technology with Mercedes history of design excellence for a vehicle that is cutting edge but unmistakably Mercedes. ENERGIZING Comfort combines various systems in the car, thus creating an optimal environment from the lighting mood and the fragrance and ionization of the air to the seat ventilation to keep the user fresh and vitalized. The ENERGIZING COACH feature uses data from the vehicle and surroundings to recommend one of the ENERGIZING programs that fits the situation and the individual. Like every EQC, the EQC Edition 1886 has a water-cooled on-board charger with an output of 7.4 kW and is therefore ready for charging with alternating current at home and at public charging stations. Charging at a home wallbox (240v) is up to three times faster than at a domestic power socket (110v). It is faster still with DC charging – which is standard for the EQC, with a suitable market-specific plug. The Edition 1886 gets as much as 293 miles on a single charge, and puts out 402 horsepower and 564 pound-feet of torque from the two motors (one on each axle). It has a top speed of 112 mph and sprints from 0-to-60 mph in an estimated 4.9 seconds. It goes on sale sometime next year, but pricing info wasn’t released. This entry was posted on Wednesday, April 17th, 2019 at and is filed under Asia Pacific, Auto Shows, Automakers, Automobiles, Business, China, EVs, Electrified Vehicles, Europe, Events, Executives, Luxury Vehicles, Markets, Mercedes, NAFTA, New York, Personalities, Product Reveals, Sales, Sales, South America, Technology, U.S./North America. You can follow any responses to this entry through the RSS 2.0 feed. You can leave a response, or trackback from your own site.